With our technical installation team having over 50 years of experience, it performs with total dedication by keeping you in the information loop, responding quickly to any needs or concerns you might have, and delivering what we promise to deliver when we promised to deliver. Looks do matter when it comes to your structured cabling installation companies. Poorly installed structures can lead to difficulty troubleshooting and low functionality. 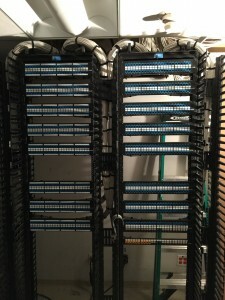 We are the structured cabling installation company you will be bragging about. 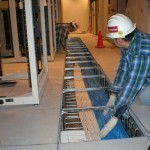 We can handle any size project, during any stage of the project, whether it’s installing a new fiber-optic backbone to connect your Ethernet devices, reconfiguring an existing voice & data network or expanding your existing building low-voltage infrastructure. RADcommuncations low-voltage voice and data cabling installation teams are comprised of world class technicians that have proven to be true leaders in the network cabling industry and are considered to be at the top of their field. When performing an installation, whether Augmented Category 6 (CAT6), Category 6, Category 5E (CAT5E), Category 5e (CAT5e), Multi-pair trunk cable (twisted pair, backbone cabling, riser cabling), Fiber-Optic cabling (Multimode OM1/OM2), (Single Mode-SMF 50 Micron), (10GIG/10 Gigabit, OM3/OM4), Coaxial- RG6, RG59U, Siamese cable (CCTV camera installations) or a Data Center build-out comprised of both copper & fiber-optic cabling within a Plenum rated or PVC environment, RADcommunications highly trained technicians strictly adhere to the BICSI installation guidelines, EIA/TIA and IEEE 802.3 standards the telecommunications cabling industry has adopted as the end all be all cabling installation standard of the modern day. With that said our clients can take comfort and rest assured knowing that since the day RADcommunications was formed more than a decade ago this rigorous installation standard has been a ‘mandatory’ requirement that all ‘RAD’ technicians must follow, both Union and Non-union alike. 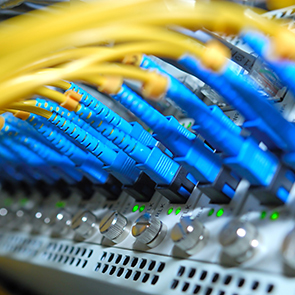 Contact us today to learn more about simplifying your structured cabling installation. Thanks for visiting the website of RADcommunications. For a FREE estimate, or an on site evaluation don't hesitate to give us a call. RAD is New York City and Long Island's expert installers of Cutting-Edge Cabling Systems, Voice and Data, CCTV, Access Control & Audio Visual Solutions. © 2015 RADcommunications. All Rights Reserved.